Voles are vegetarians that mainly feed on berry bearing trees, shrubs, and birdfeeder droppings. Voles will leave runs on the surface of the grass areas and sometimes dig tunnels. 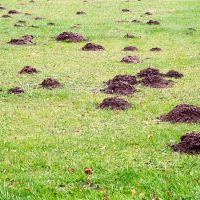 We offer a mole control baiting. However, due to the unpredictable outcome of baiting, and due to the moles feeding habits, we are unable to offer any warranty on this service. It has about a 70% success rate. Our price will vary with town. (Labor & Material) One trip is usually all that is required unless there are multiple moles or there is continues pressure from wooded areas surrounding the property. Multiple trips to the property to re- bait will cost half price if desired. 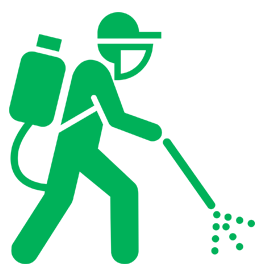 Safetech Pest Control offers price protection contracts for high-pressured properties. Contact us today or call us at 3063512881 for your free estimate with on-site analysis (our price is based on square footage).